these past few months i've been keeping busy work-wise drawing portraits and making miniature tandem bikes that are mostly being used as wedding cake toppers. 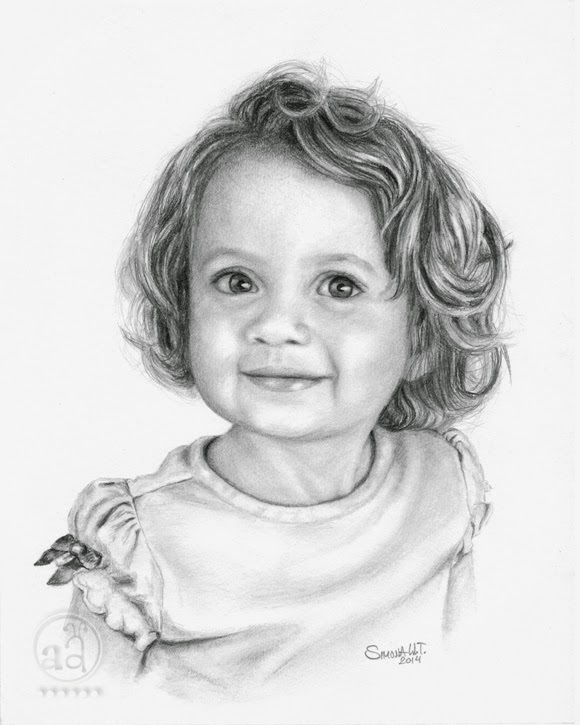 one of the pencil drawings i did more recently is this one of a little girl. i also drew one of her together with her grandpa, and one of her brother which i will post another time. isn't she just cute? i think she looks like she's up to something! i hope you'll enjoy the rest of your week and have a great weekend! She looks adorable and I love that sparkle in her eyes! a beautiful drawing and talent! Have a great weekend! !